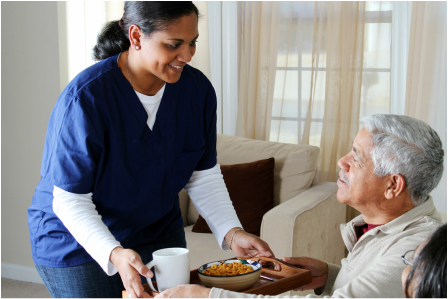 Home care is care that allows a person with special needs to stay in their home. It might be for people who are getting older, are chronically ill, recovering from surgery, or disabled. Home care services include. Personal care, such as help with bathing, washing your hair, or getting dressed. The need for senior care services can come up suddenly or be the result of a persistent, declining health. Regardless of why you now require senior care services, the need for it is somewhat of a shock. When you choose LCH for at home senior care, we'll work with you to create a plan for care that addresses your loved one's individual needs. Our caregivers are scheduled at your convenience. Weekday, weekend, and holiday visits are available as needed. Caregiving can be stressful, especially for family members caring for their loved ones. Our services offer solutions to bring you peace of mind.